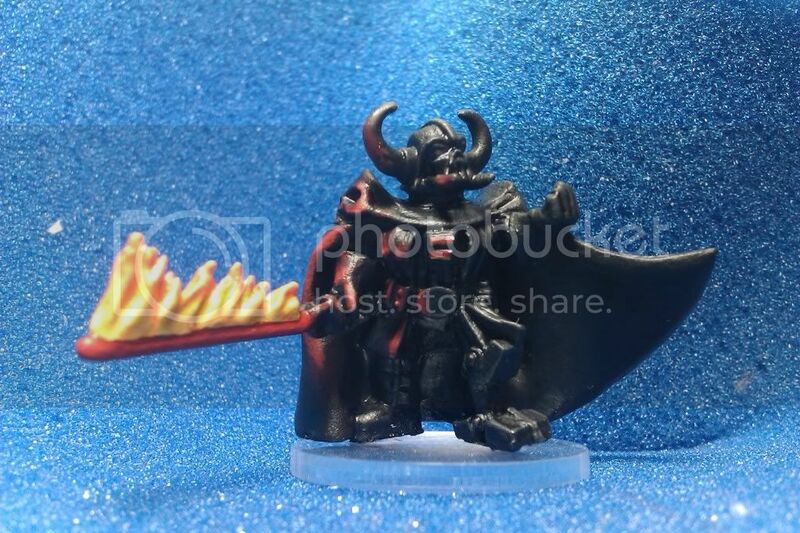 This was my experiment in painting a miniature with an "open source lighting" effect; the light from the flaming fire sabre reflecting from the armour. The colours in the photo are a little washed out, the flames looking a little better in real life. It's all in the reflexes..